Open Monday through Friday from 7:00 am to 10:00 pm; Saturdays from 7:00 am to 4:00 pm. 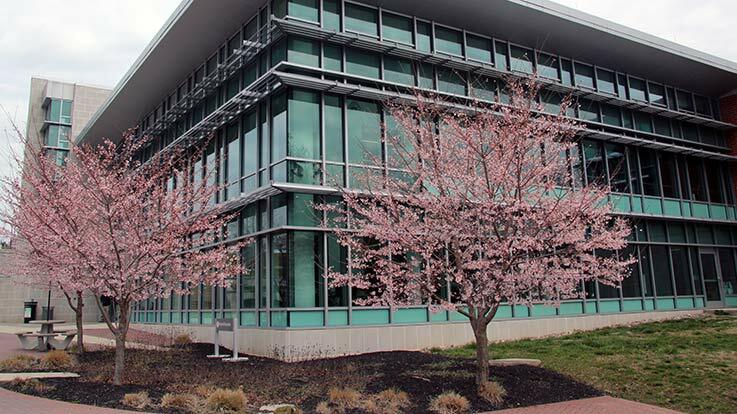 Cecil College's North East Campus is located at the head of the Chesapeake Bay, and is 50 miles from Baltimore and Philadelphia. This beautiful campus features contemporary buildings, is surrounded by nature, and includes walking trails. The newly refreshed Technology Center features a cafe where you can grab a cup of coffee or a snack and relax in comfortable chairs inside or on the scenic outdoor patio. All of the facilities on campus are designed with students in mind.